Homepage Office	Tidy your office in 5 simple steps! Your study can be a place for contemplation, reflection and artistic escape. Whatever purpose you give it, it’s an area that deserves to be functional and tidy. It’s easy to imagine all the paperwork building up, whether it’s bills or notepads covered in ideas or doodles…where there is work—and in particular creative work—there is the risk of mess. There comes a time when such disarray hinders your work. When you can’t see the table for the paperwork and scattered objects, when you’re all out of motivation, or when the sight of your office simply horrifies you, then it’s time to tidy up! Here are 5 tips and tricks that will restore your study to its glory. Time to boost your enthusiasm for the task ahead! It is important for the desk to feature drawers or a shelf to store away all of the documents and files that you don’t immediately need. If these are outdated documents, throw them out or file them away in boxes that can be stored in the attic, basement, under the bed or in a cupboard. The best idea is to scan them and store them digitally instead. 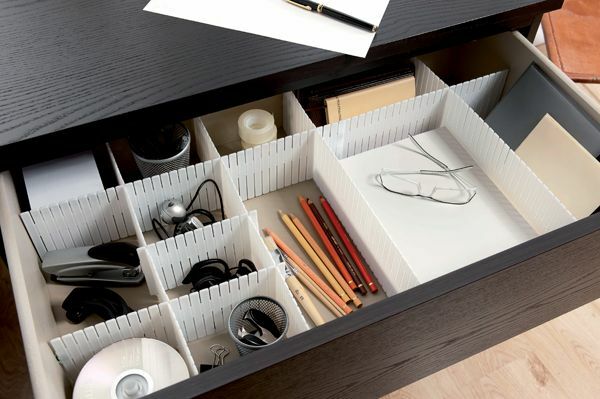 As for the remaining documents and accessories, why not try a drawer organiser. Choose modular furniture that lets you create mini storage spaces. Not only can you get everything organised, but you can also save yourself a lot of time. Group together objects of the same type: USB sticks and electronics together, pens and crayons together, bills together, etc. Unlike colder materials such as metal, wood inspires and adds a dose of warmth to your study area. It’s best to go for wooden shelving and position this below or beside the desk. 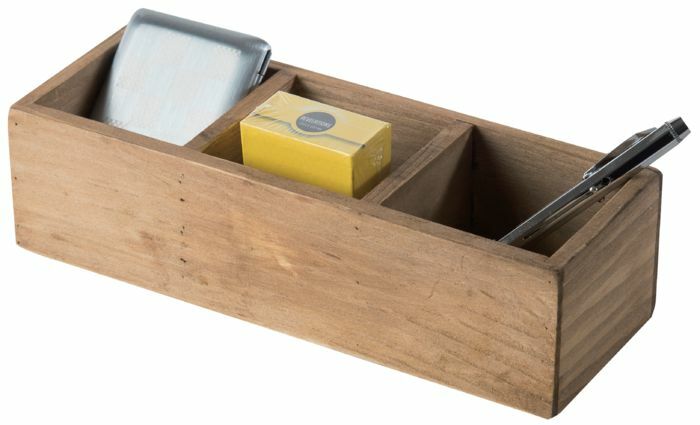 Compactor shelves decorate your walls while providing an extra storage space. 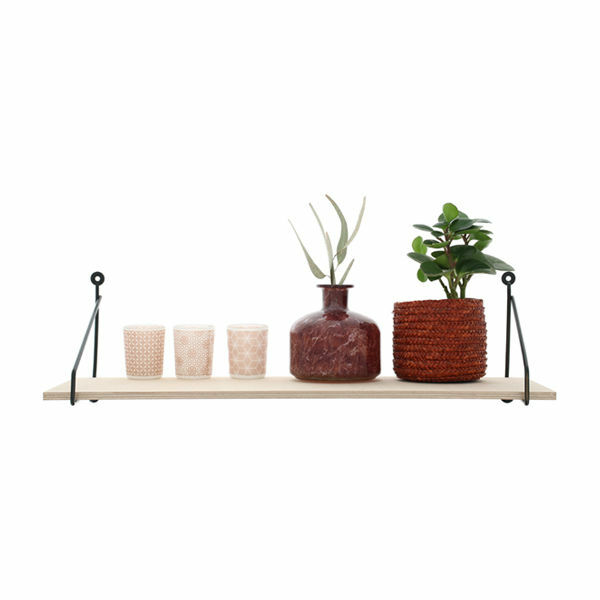 Keep at least one shelf free for ornaments and decorations: a family photo, a plant, a travel souvenir, a childhood game, a favourite book….You’ll realise how important it is to be surrounded by objects that produce joy or conjure good memories. Once all of these secondary items have been stored in drawers and on shelves, it’s time to get to work. Your desk should be cleared to make way for a computer, and everything needs to be close at hand. 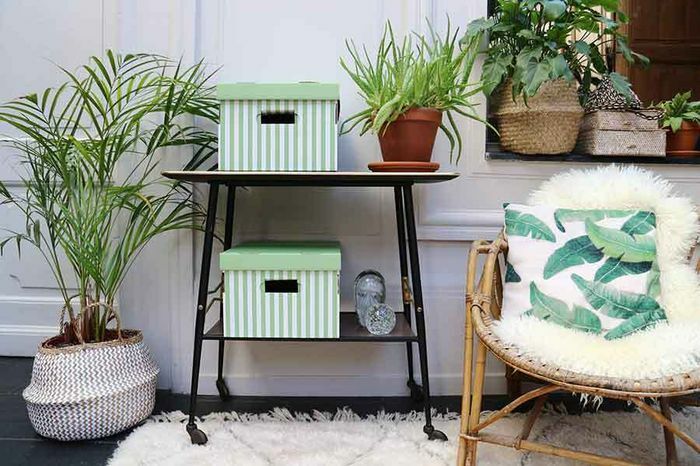 The simplest trick—as well as the cheapest—is to buy open storage boxes for everyday items, and wooden boxes with lids to store those things you only use from time to time. The smaller your study is, the more important it will be to exploit the wall space. 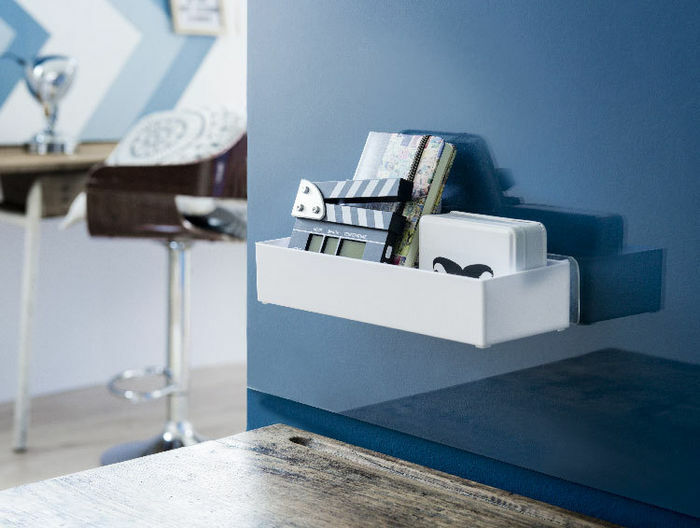 Adhesive shelving can help you to create an extra storage area. The benefit of these is that you can keep things handy without taking over the entire workspace. Why not use a selection of different styles in accordance with your needs? Tidying once is not enough. Even if you have 15 free shelves, 22 drawers and drawer organisers…the mess is sure to return unless you periodically tidy things away.